With news of the conflagration in the middle east between Israel and Lebanon (and, heaven forbid, Syria and Iran), I pondered what I know about Lebanon. Much of my Lebanese knowledge comes from my love of Chateau Musar. Musar's red was one of the first truly unique wines I ever sampled. Much has been written about this wine estate. But, really, what do I know about Lebanon? 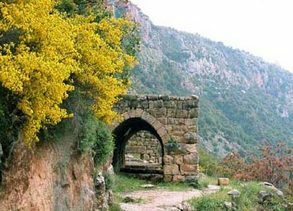 Aside from aqueos-oeno transmorgifications, There are a lot of interesting things about Lebanon. This country, with a population of 3.5 million people is home to a fairly diverse demographic mix of people. The population of Lebanon is comprised of Muslims (60%), Christians (40%) and Druze (grouped with the 60% Muslims). The Druze practice a religion, which developed out of Islam, and incorporates influences from Gnosticism, Christianity and Greek philosophy. 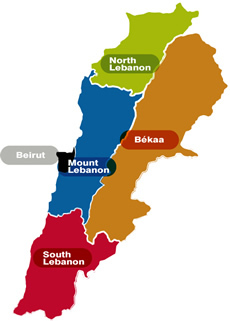 Speaking of Lebanese food, much of the country's food is grown/raised in the Bekaa/Beqaa Valley. This valley represents about 40% of Lebanon's arable land. The northern end of the valley is used for livestock grazing, while the southern end is planted in wheat, corn, veggies, and, of course, vineyards. Lebanese grapes are grown around the town of Zahle - described as Lebanon's, "City of Wine and Poetry." A number of wineries are located in Zahle: Chateau Ksara, Chateau Nakad, Clos St. Thomas, Domaine Wardy and Massaya Winery. The only Lebanese wines widely available in North America are from Chateau Musar. Musar's flagship red is simply labeled, "Chateau Musar." Depending on vintage, this wine is a blend from some or all of the following varietals: Cabernet, Cinsault, Carignan, Syrah, Mourvedre and Merlot. This wine often offers up scents of cedar, cigarbox, baked fruit and meat. Musar's white wine is equally as unique. This wine is often slightly oxidized during the winemaking process. The result is a white wine with notes of smoke, nuts and herbs. If you happen to get lucky, you may even track down Musar's Rosé - a Cinsault-based wine. For west-coasters, find Chateau Musar wine here. If you're on the east-coast, search for them here (search using 'musar' as the key word). Once you buy a bottle or two of Lebanese wine, pop one open and drink (& pray) for peace. 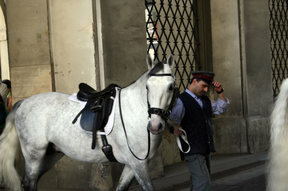 The Lipizzaner horses are one of Vienna's most well-known attractions. The horses are part of the Spanish riding school; begun by the Habsburg family to teach their lucky kids classic equestrian skills. 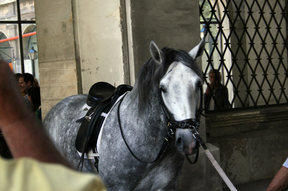 The Habsburg family had branches in both Spain and Austria - thus the Spanish horses in Vienna. In fact a common vernacular phrase in German (es kommt mir Spanisch vor) hearkens back to the time when Austrians overheard visiting Habsburgers speaking in Spanish (which would have sounded extremely foreign to many Austrians at the time) and were unable to understand. The phrase can be translated as, "it's Spanish to me." It's analogous to the phrase, "it's all Greek to me." Walking to Vievinum, I met the horses going into the arena for morning exercises.